File to your heart’s content with the Preston Lateral Filing Cabinet. The two large drawers offer plenty of space for either legal or letter sized files. 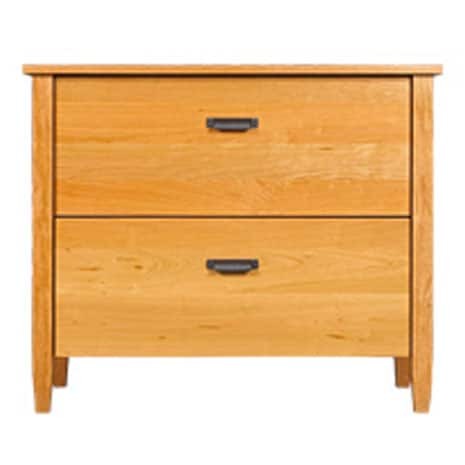 The solid cherry wood is offered in a variety of finishes, and you have your choice of wood or metal for the drawer pulls. Pair with other items from the Preston Collection for a complete office. Proudly made in the USA!